The Midnight Freemasons: Celebrating 100 Years! St. Joseph Lodge No. 970 (Illinois), of which I am a Past Master, recently celebrated 100 years with a re-dedication of our lodge building. The Most Worshipful Grand Lodge of Illinois came to St. Joseph and put on an outstanding rededication ceremony. I had to give a short presentation on the history of the lodge and with the research I did, gained some interesting insight into our past. The first reference I found was in 1905 and the efforts of Dr. Harold E. Davis, who was a Dentist in St. Joseph and a member of Ogden Lodge No. 754. Brother Davis and other brothers who resided in the St. Joseph community wanted to have a local lodge instead of having to travel the five miles to the east to attend Ogden Lodge. In those days in Illinois, to establish a new lodge the other lodges in the area had to vote to give permission for the new lodge to form. Ogden resisted the efforts for many years, as at least 35 of the Ogden Lodge membership was from St. Joseph and thus Ogden stood to lose a substantial number of their members. Brother Davis, who continued to lead the efforts into 1912, was writing back and forth with MWGM Delmar Darah, who was the Grand Master of Illinois. Grand Master Darah was trying to keep peace and harmony within Ogden Lodge and had to send the District Deputy in several times to mediate. In my review of several letters at the time, I found one that illustrated the atmosphere the best. The letters was signed by no less than 20 members of Ogden Lodge, who were trying to establish the St. Joseph Lodge. Finally in the fall of 1913 at the annual Illinois Grand Lodge Communication held in Chicago, St. Joseph was given a dispensation to form St. Joseph Lodge U.D. The lodge was formally chartered in October of 1914. St. Joseph Lodge is like most lodges in that our membership numbers have been up and down over the years. We have had brothers who have fought in every war the past 100 years. They survived the depression, helped the community flourish and raised their families here and many have passed on to the celestial lodge above. The members of St. Joseph Lodge No. 970 have been both prominent members of the community and those who worked quietly behind the scenes. 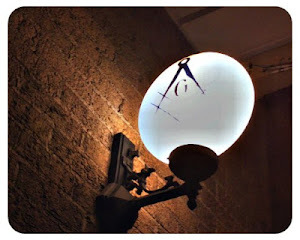 The lodge has been a source of consistency in our town, when so many other things have changed. We are still there to help out with the Veterans events, sponsor the Scouts and award a scholarship at the high school each year. In the lodge we are still helping each other grow within masonry. We nearly closed our doors and turned out the lights a few years ago, but a few of us decided to take on the challenge of keeping the lodge going and we established a goal of seeing 100 years. The efforts were definitely worth the work. 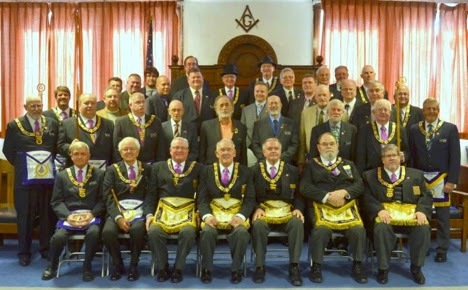 We have brought in many new members who are now active members of the lodge. We still have a long ways to go, but are working towards our next 100 years. Today there is great peace and harmony amongst Ogden Lodge No. 754 and St. Joseph Lodge No. 970. As a matter of fact I am a member of both, counting Ogden as my home lodge, having been raised there in 2007 and currently serving as Chaplain.